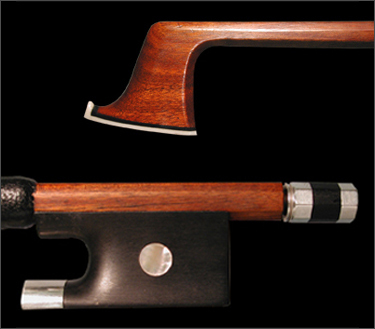 Francois-Xavier Tourte, by the end of the 18th century, gave its definition to the classical bow that became a French art reference, very much like the violin had been fostered in Italy. 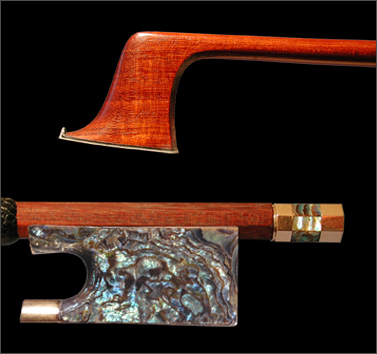 Great French bow makers like Peccate or Sartory developed this craft during the 19th and 20th centuries. They left us a patrimony of bows that is stunning and delicate. 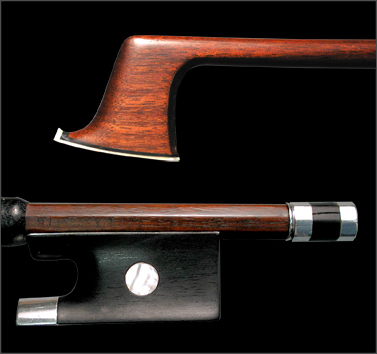 Fine bow-heads are naturally fragile. 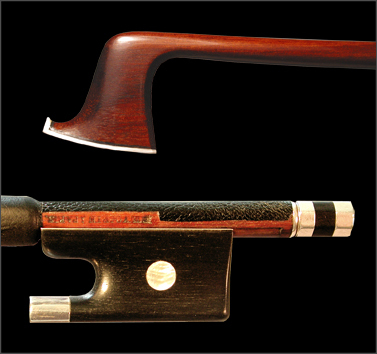 A lucrative commerce around lutherie, based on the value of some pieces, adds to the frailty of bows: original parts are replaced or substituted, bows are “married” to produce a complete pricey piece. We need to protect the patrimony of bows and play them with precaution as long as possible because they tell us about human talent for beauty and music. In a spirit of both learning from the ancient masters and allowing the best examples of bowmaking to be played and preserved, Benoît Rolland undertakes some restoration tasks. He sometimes, yet rarely makes whole replicas of the finest French bows.